Spring is in the air and frozen yogurt is the perfect treat when it’s hot out. If you have eaten at Menchie’s before, you have probably experienced some of their 128 froyo flavours and 50+ toppings. Menchie’s Frozen Yogurt is launching a few new products this spring including 100% natural fruit smoothies and a new Skor frozen yogurt flavour. They are running a contest with digital Scratch and Win cards where you can win instant win prizes or a grand prize 7 night trip for 2 to to the 5-star Dreams Riviera Cancun Resort & Spa in the Mayan Riviera. No purchase necessary and you can access the digital scratch card contest in the link below . When participants scratch, they’re scratching for instant win prizes including froyo discounts and each entry will also receive a pin to enter for the grand prize contest. The contest runs until Sunday May 15, 2016 11:59 EST. The instant win discounts can be used at any of the 106 Menchie’s locations across Canada. 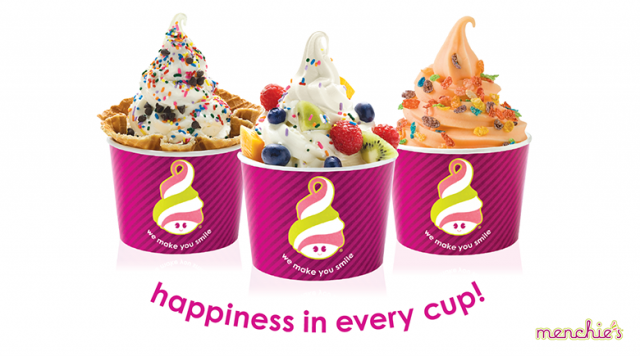 Menchie’s yogurt products are gluten-free, vegan, kosher certified and you can even get custom made cakes frozen yogurt and toppings.